It's almost inevitable during heated political campaigns. Someone on either the left or the right is going to make a "Hitler comparison." They're going to say something negative about a foe and compare him directly to the memory of Adolf Hitler, the 20th century's most despicable leader. Hey, he launched the "blitzkrieg" attack against Poland on Sept. 1, 1939 that started World War II. He sought to conquer Europe and working with his allies in Japan, to eventually conquer the world. His Third Reich was supposed to last "a thousand years." It lasted a dozen. Hitler became German chancellor in 1933, a post he held until April 1945 when he committed suicide in that Berlin bunker. 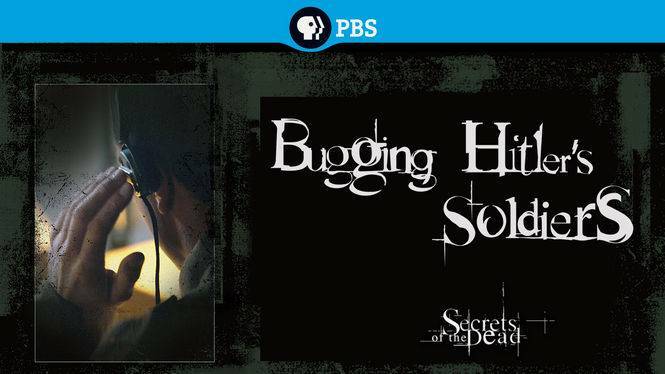 PBS is re-broadcasting on March 15 a segment from its "Secrets of the Dead" series on "Bugging Hitler's Soldiers." The segment explores the manner in which the British secret service sought to learn the secrets of Hitler's regime through listening devices planted on the men who wore the uniform of the Third Reich. Why the prolonged interest in Hitler and his hideous reign of terror? A fascinating article in The Guardian, a British publication, offers a lengthy analysis of the world's obsession with this madman. The article states, for instance: "Hitler’s murderous policies, like Stalin’s, cannot be labelled “barbarous” or “medieval” like so many others. The ideology that underpinned Stalin’s policies of mass extermination died in 1989 with the fall of communism, but the racism that drove Hitler’s lives on in myriad forms that continue to trouble the world today. The Third Reich represents racism’s most extreme form: in Nazi Germany everything came down to race." The crux of the Guardian's theory is that racism continues to grip the world and Hitler's attempt to exterminate Jews from Europe perhaps plays to the steel grip that the subject of racism retains on contemporary society. Here's another snippet from the Guardian: "Marriage was only allowed to the racially approved, armed with their certificates of 'Aryan' ancestry. Modernist art was condemned as 'degenerate' because Hitler thought it was part of a worldwide conspiracy of Jews hellbent on destroying German culture. 'Asocial' Germans, alcoholics, petty criminals, vagrants, mixed-race Germans, the 'work-shy,' were forcibly sterilised lest they pass on their alleged defects to the next generation. Homosexuals were killed because they were a danger to the Aryan race, supposedly compromising its virility. Gypsies were slaughtered because the Nazis thought they carried a hereditary taint of criminality. The official wartime 'General Plan for the East' envisaged the deliberate extermination through starvation and disease of up to 45 million Slavic inhabitants of Eastern Europe following a Nazi victory, to make way for German settlers. This was genocide planned on an almost unimaginable scale." How in the world do you put memories of those actions to rest, never to be discussed or debated or examined? I'll add this point, though, to what the Guardian suggests. It might be that we have many individuals with vivid memories of the conflict still among us. Consider that the men and women who went to war in 1939 (and in 1941, when the United States entered World War II) are now in their 90s. They are departing us now. Of the 16 million Americans who served in the armed forces during that conflict, fewer than 2 million are still alive. But they had younger siblings. They had children who were too young to serve but were old enough to remember when Big Brother, Uncle, Dad or perhaps even the parents of their closest friends went off to war. Perhaps their loved one died on a battlefield somewhere in Europe. So, yes, the memories are vivid. They want to know all there is to know about the regime that caused such havoc around the world. Moreover, as grievous as the toll was on American society during that time, consider what the Russians endured along the Eastern Front. By many accounts, more than 20 million Russians perished in the conflict started by Hitler. The Red Army conducted a "scorched Earth" tactical retreat as they fell back during the Nazis early march into the Soviet Union, leaving nothing for the invaders to use against them. Property was burned. Farm animals were slaughtered. Do you think those folks have vivid and heartbreaking memories of that terrible time? Hitler will continue to be brought up whenever possible by those seeking some kind of advantage over their adversaries. For how long? Perhaps for as long as there are people alive who remember the unspeakable horror that this monster brought to the world. "Secrets of the Dead: Bugging Hitler's Soldiers" airs Tuesday at 7 p.m. on Panhandle PBS.